Kostiantyn Sytnyk, Tetiana Bevz. Volodymyr Vernadsky: Person, Citizen, Scientist. Костянтин Ситник, Тетяна Бевз. Володимир Вернадський: Людина. Громадянин. Учений. – Київ, Наукова думка, 2017.- 368 с. The monograph covers the life and scientific path of the prominent scientist, intellectual, the first president of the Ukrainian Academy of Science – Volodymyr I. Verndaskyi. 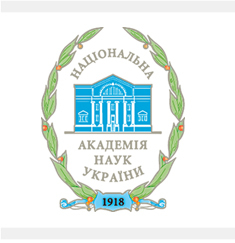 The ideas of liberalism, the scientific worldview and the “Ukrainian question” in the social and political discourse of V. Vernadky are analyzed, the role of a scientist in the formation of the Ukrainian Academy of Science is revealed. The problem of revolution, politics, power and democracy is shown through the prism of V. Vernadsky’s views. The particular attention is paid to the role of the Ukrainian intellectuals and the interrelation between the intellectuals and people. The Ukrainian intellectual surroundings of Volodymyr Vernadsky is shown. The genealogy of Vernadsky’s family and their intellectual system, Natalia and Volodymyr Vernadsky’s love story are descirbed. The considerable attention is paid to Vernadsky’s children – George and Nina, granddaughter Tetiana. The monograph is intended for scientist and researchers of national intellectual heritage, teachers, post-graduate students and students, as well as everyone who is interested in the history of science and its outstanding people.